cryptonaut-in-exile: Headlines of 100 Years Ago: Norman Angell (Lane) revealed as author of The Great Illusion. 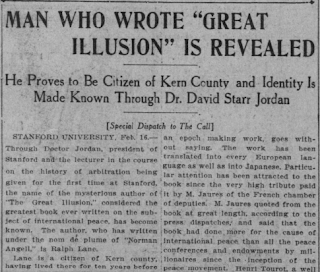 Headlines of 100 Years Ago: Norman Angell (Lane) revealed as author of The Great Illusion. Angell is most widely remembered for his 1909 pamphlet, Europe's Optical Illusion, which was published the following year (and many years thereafter) as the book, The Great Illusion. (The anti-war film The Grand Illusion took its title from his pamphlet.) The thesis of the book was that the integration of the economies of European countries had grown to such a degree that war between them would be entirely futile, making militarism obsolete. 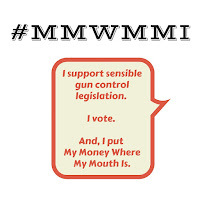 Still waiting for militarism to become obsolete.